Urban sprawl or suburban sprawl mainly refers to the unrestricted growth in many urban areas of housing, commercial development, and roads over large expanses of land, with little concern for urban planning. In addition to describing a particular form of urbanization, the term also relates to the social and environmental consequences associated with this development. In Continental Europe the term "peri-urbanisation" is often used to denote similar dynamics and phenomena, although the term urban sprawl is currently being used by the European Environment Agency. There is widespread disagreement about what constitutes sprawl and how to quantify it. For example, some commentators measure sprawl only with the average number of residential units per acre in a given area. But others associate it with decentralization (spread of population without a well-defined centre), discontinuity (leapfrog development, as defined below), segregation of uses, and so forth. The term urban sprawl is highly politicized, and almost always has negative connotations. It is criticized for causing environmental degradation, intensifying segregation and undermining the vitality of existing urban areas and attacked on aesthetic grounds. Due to the pejorative meaning of the term, few openly support urban sprawl as such. The term has become a rallying cry for managing urban growth. Definitions of sprawl vary; researchers in the field acknowledge that the term lacks precision. Batty et al. defined sprawl as "uncoordinated growth: the expansion of community without concern for its consequences, in short, unplanned, incremental urban growth which is often regarded unsustainable." 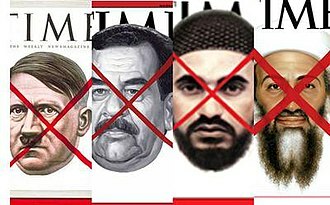 Bhatta et al. wrote in 2010 that despite a dispute over the precise definition of sprawl there is a "general consensus that urban sprawl is characterized by [an] unplanned and uneven pattern of growth, driven by multitude of processes and leading to inefficient resource utilization." This picture shows the metropolitan areas of the Northeast Megalopolis of the United States demonstrating urban sprawl, including far-flung suburbs and exurbs illuminated at night. Reid Ewing has shown that sprawl has typically been characterized as urban developments exhibiting at least one of the following characteristics: low-density or single-use development, strip development, scattered development, and/or leapfrog development (areas of development interspersed with vacant land). He argued that a better way to identify sprawl was to use indicators rather than characteristics because this was a more flexible and less arbitrary method. He proposed using "accessibility" and "functional open space" as indicators. Ewing's approach has been criticized for assuming that sprawl is defined by negative characteristics. What constitutes sprawl may be considered a matter of degree and will always be somewhat subjective under many definitions of the term. Ewing has also argued that suburban development does not, per se constitute sprawl depending on the form it takes, although Gordon & Richardson have argued that the term is sometimes used synonymously with suburbanization in a pejorative way. Despite its world-famous reputation for urban sprawl and car culture, paradoxically, the Los Angeles metropolitan area is the densest in the United States. Metropolitan Los Angeles for example, despite popular notions of being an sprawling city, is the densest metropolitan region in the US, being denser than the New York metropolitan area and the San Francisco Bay Area. Essentially, most of metropolitan Los Angeles is built at more uniform low to moderate density, leading to a much higher overall density for the entire region. This is in contrast to cities such as New York, San Francisco or Chicago which have extremely compact, high-density cores but are surrounded by large areas of extremely low density. The international cases of sprawl often draw into question the definition of the term and what conditions are necessary for urban growth to be considered sprawl. Metropolitan regions such Greater Mexico City, Delhi National Capital Region and Beijing, are often regarded as sprawling despite being relatively dense and mixed use. Despite the lack of a clear agreed upon description of what defines sprawl most definitions often associate the following characteristics with sprawl. This refers to a situation where commercial, residential, institutional and industrial areas are separated from one another. Consequently, large tracts of land are devoted to a single use and are segregated from one another by open space, infrastructure, or other barriers. As a result, the places where people live, work, shop, and recreate are far from one another, usually to the extent that walking, transit use and bicycling are impractical, so all these activities generally require a car. The degree to which different land uses are mixed together is often used as an indicator of sprawl in studies of the subject. Job sprawl is another land use symptom of urban sprawl and car-dependent communities. It is defined as low-density, geographically spread-out patterns of employment, where the majority of jobs in a given metropolitan area are located outside of the main city's central business district (CBD), and increasingly in the suburban periphery. It is often the result of urban disinvestment, the geographic freedom of employment location allowed by predominantly car-dependent commuting patterns of many American suburbs, and many companies' desire to locate in low-density areas that are often more affordable and offer potential for expansion. Spatial mismatch is related to job sprawl and economic environmental justice. Spatial mismatch is defined as the situation where poor urban, predominantly minority citizens are left without easy access to entry-level jobs, as a result of increasing job sprawl and limited transportation options to facilitate a reverse commute to the suburbs. Job sprawl has been documented and measured in various ways. It has been shown to be a growing trend in America's metropolitan areas. The Brookings Institution has published multiple articles on the topic. In 2005, author Michael Stoll defined job sprawl simply as jobs located more than 5-mile (8.0 km) radius from the CBD, and measured the concept based on year 2000 U.S. Census data. Other ways of measuring the concept with more detailed rings around the CBD include a 2001 article by Edward Glaeser and Elizabeth Kneebone's 2009 article, which show that sprawling urban peripheries are gaining employment while areas closer to the CBD are losing jobs. These two authors used three geographic rings limited to a 35-mile (56 km) radius around the CBD: 3 miles (4.8 km) or less, 3 to 10 miles (16 km), and 10 to 35 miles (56 km). Kneebone's study showed the following nationwide breakdown for the largest metropolitan areas in 2006: 21.3% of jobs located in the inner ring, 33.6% of jobs in the 3–10 mile ring, and 45.1% in the 10–35 mile ring. This compares to the year 1998 – 23.3%, 34.2%, and 42.5% in those respective rings. The study shows CBD employment share shrinking, and job growth focused in the suburban and exurban outer metropolitan rings. Sprawl is often characterized as consisting of low-density development. The exact definition of "low density" is arguable, but a common example is that of single family homes on large lots. Buildings usually have fewer stories and are spaced farther apart, separated by lawns, landscaping, roads or parking lots. Specific measurements of what constitutes low-density is culturally relative; for example, in the United States 2–4 houses per acre might be considered low-density while in the UK 8–12 would still be considered low-density. Because more automobiles are used much more land is designated for parking. The impact of low density development in many communities is that developed or "urbanized" land is increasing at a faster rate than the population is growing. Overall density is often lowered by "leapfrog development". This term refers to the relationship, or lack thereof, between subdivisions. Such developments are typically separated by large green belts, i.e. tracts of undeveloped land, resulting in an average density far lower even than the low density indicated by localized per-acre measurements. This is a 20th and 21st century phenomenon generated by the current custom of requiring a developer to provide subdivision infrastructure as a condition of development. Usually, the developer is required to set aside a certain percentage of the developed land for public use, including roads, parks and schools. In the past, when a local government built all the streets in a given location, the town could expand without interruption and with a coherent circulation system, because it had condemnation power. Private developers generally do not have such power (although they can sometimes find local governments willing to help), and often choose to develop on the tracts that happen to be for sale at the time they want to build, rather than pay extra or wait for a more appropriate location. Land for sprawl is often taken from fertile agricultural lands, which are often located immediately surrounding cities; the extent of modern sprawl has consumed a large amount of the most productive agricultural land, as well as forest, desert and other wilderness areas. 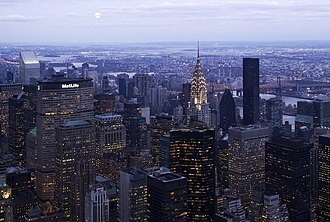 In the United States the seller may avoid tax on profit by using a tax break exempting like-kind exchanges from capital gains tax; proceeds from the sale are used to purchase agricultural land elsewhere and the transaction is treated as a "swap" or trade of like assets and no tax is due. Thus urban sprawl is subsidized by the tax code. 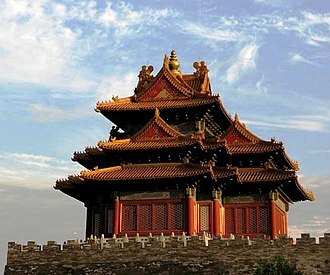 In China, land has been converted from rural to urban use in advance of demand, leading to vacant rural land intended for future development, and eventual urban sprawl. Housing subdivisions are large tracts of land consisting entirely of newly built residences. New Urbanist architectural firm Duany Plater-Zyberk & Company claim that housing subdivisions "are sometimes called villages, towns, and neighbourhoods by their developers, which is misleading since those terms denote places that are not exclusively residential." They are also referred to as developments. Subdivisions often incorporate curved roads and cul-de-sacs. These subdivisions may offer only a few places to enter and exit the development, causing traffic to use high volume collector streets. All trips, no matter how short, must enter the collector road in a suburban system. Because the advent of sprawl meant more land for lower costs, home owners had more land at their disposal, and the development of the residential lawn after the Second World War became commonplace in suburbs, notably, but not exclusively in North America. The creation in the early 20th century of country clubs and golf courses completed the rise of lawn culture in the United States. Lawns now take up a significant amount of land in suburban developments, contributing in no small part to sprawl. In areas of sprawl, commercial use is generally segregated from other uses. In the U.S. and Canada, these often take the form of strip malls, which refer to collections of buildings sharing a common parking lot, usually built on a high-capacity roadway with commercial functions (i.e., a "strip"). Similar developments in the UK are called Retail Parks. Strip malls consisting mostly of big box stores or category killers are sometimes called "power centers" (U.S.). These developments tend to be low-density; the buildings are single-story and there is ample space for parking and access for delivery vehicles. This character is reflected in the spacious landscaping of the parking lots and walkways and clear signage of the retail establishments. Some strip malls are undergoing a transformation into Lifestyle centers; entailing investments in common areas and facilities (plazas, cafes) and shifting tenancy from daily goods to recreational shopping. Walmart Supercenter in Luray, Virginia. Another prominent form of retail development in areas characterized by sprawl is the shopping mall. Unlike the strip mall, this is usually composed of a single building surrounded by a parking lot that contains multiple shops, usually "anchored" by one or more department stores (Gruen and Smith 1960). The function and size is also distinct from the strip mall. The focus is almost exclusively on recreational shopping rather than daily goods. Shopping malls also tend to serve a wider (regional) public and require higher-order infrastructure such as highway access and can have floorspaces in excess of a million square feet (ca. 100,000 m²). Shopping malls are often detrimental to downtown shopping centres of nearby cities since the shopping malls act as a surrogate for the city centre (Crawford 1992). Some downtowns have responded to this challenge by building shopping centres of their own (Frieden and Sagelyn 1989). Fast food chains are often built early in areas with low property values where the population is expected to boom and where large traffic is predicted, and set a precedent for future development. Eric Schlosser, in his book Fast Food Nation, argues that fast food chains accelerate suburban sprawl and help set its tone with their expansive parking lots, flashy signs, and plastic architecture (65). Duany Plater Zyberk & Company believe that this reinforces a destructive pattern of growth in an endless quest to move away from the sprawl that only results in creating more of it. The density gradient of industrialising cities has tended to follow a specific pattern: the density of the centre of the city would rise during urbanization and the population would remain heavily concentrated in the city centre with a rapid decline in settlement towards the periphery. Then, with continued economic growth and the expanding networks of public transport, people (particularly the middle class) would then slowly migrate towards the suburbs, gradually softening the population density gradient. This point was generally reached when the city reached a certain stage of economic development. In London, this point was reached in the first half of the 19th century, in Paris toward the end of the century and in New York City at the turn of the 20th. The term "urban sprawl" was first used in an article in The Times in 1955 as a negative comment on the state of London's outskirts. However, London had been sprawling out of its medieval confines within the City since the 18th century, when the city experienced its first great urban surge. Areas to the west of Westminster were increasingly built up for the wealthy, to live in the suburbs of the city. The cover of the Metro-Land guide published in 1921, promoting a suburban lifestyle. A dramatic increase in the city's urban sprawl began in the 19th century, when labourers flocked from the countryside to work in the new factories that were then springing up. Large developments of small terraced houses began to appear and the new public transportation systems – (the metro, buses and trams) – allowed workers to commute into the city daily. Suburban districts also sprung up around the city centre to accommodate those who wanted to escape the squalid conditions of the industrial town. By the mid-19th century, the first major suburban areas were springing up around London as the city (then the largest in the world) became more overcrowded and unsanitary. A major catalyst in the growth in urban sprawl came from the opening of the Metropolitan Railway in the 1860s. The line joined the capital's financial heart in the City to what were to become the suburbs of Middlesex. Harrow was reached in 1880, and the line eventually extended as far as Verney Junction in Buckinghamshire, more than 50 miles (80 kilometres) from Baker Street and the centre of London. Unlike other railway companies, which were required to dispose of surplus land, the Met was allowed to retain such land that it believed was necessary for future railway use. [a] Initially, the surplus land was managed by the Land Committee, and, from the 1880s, the land was developed and sold to domestic buyers in places like Willesden Park Estate, Cecil Park, near Pinner and at Wembley Park. In 1919, with the expectation of a postwar housing boom, Metropolitan Railway Country Estates Limited was formed and went on to develop estates at Kingsbury Garden Village near Neasden, Wembley Park, Cecil Park and Grange Estate at Pinner and the Cedars Estate at Rickmansworth and create places such as Harrow Garden Village. By the early twentieth century then, amid increasing middle-class affluence, large low-density suburbs of semi-detached houses had sprung up all around the city, doubling the area of built-up London in the interwar period alone, despite the population increase being just 10 percent. H.G Wells even predicted in 1902 that within a hundred years most of southern England would have been subsumed into one gigantic conurbation centred in London. The Metropolitan Green Belt first proposed by the London County Council in 1935. Starting in the early 20th century, environmentalist opposition to urban sprawl began to coalesce, with roots in the garden city movement, as well as pressure from campaign groups such as the Campaign to Protect Rural England (CPRE). Under Herbert Morrison's 1934 leadership of the London County Council, the first formal proposal was made by the Greater London Regional Planning Committee "to provide a reserve supply of public open spaces and of recreational areas and to establish a green belt or girdle of open space". It was again included in an advisory Greater London Plan prepared by Patrick Abercrombie in 1944. The Town and Country Planning Act of 1947 expressly incorporated green belts into all further national urban developments. New provisions for compensation in the 1947 Town and Country Planning Act allowed local authorities around the country to incorporate green belt proposals in their first development plans. The codification of Green Belt policy and its extension to areas other than London came with the historic Circular 42/55 inviting local planning authorities to consider the establishment of Green Belts. The first urban growth boundary in the U.S. was in Fayette County, Kentucky in 1958. According to the National Resources Inventory (NRI), about 8,900 square kilometres (2.2 million acres) of land in the United States was developed between 1992 and 2002. Presently, the NRI classifies approximately 100,000 more square kilometres (40,000 square miles) (an area approximately the size of Kentucky) as developed than the Census Bureau classifies as urban. The difference in the NRI classification is that it includes rural development, which by definition cannot be considered to be "urban" sprawl. Currently, according to the 2000 Census, approximately 2.6 percent of the U.S. land area is urban. Approximately 0.8 percent of the nation's land is in the 37 urbanized areas with more than 1,000,000 population. In 2002, these 37 urbanized areas supported around 40% of the total American population. Nonetheless, some urban areas like Detroit have expanded geographically even while losing population. But it was not just urbanized areas in the U.S. that lost population and sprawled substantially. According to data in "Cities and Automobile Dependence" by Kenworthy and Laube (1999), urbanized area population losses occurred while there was an expansion of sprawl between 1970 and 1990 in Amsterdam, the Netherlands; Brussels, Belgium; Copenhagen, Denmark; Frankfurt, Hamburg and Munich, Germany; and Zurich, Switzerland, albeit without the dismantling of infrastructure that occurred in the United States. Urban sprawl is associated with a number of negative environmental outcomes. One of the major environmental problems associated with sprawl is land loss, habitat loss and subsequent reduction in biodiversity. A review by Czech and colleagues finds that urbanization endangers more species and is more geographically ubiquitous in the mainland United States than any other human activity. Urban sprawl is disruptive to native flora & fauna and introduces invasive plants into their environments. Although the effects can be mitigated through careful maintenance of native vegetation, the process of ecological succession and public education, sprawl represents one of the primary threats to biodiversity. Regions with high birth rates and immigration are therefore faced with environmental problems due to unplanned urban growth and emerging megacities such as Kolkata. increased temperatures from heat islands, which leads to a significantly increased risk of mortality in elderly populations. 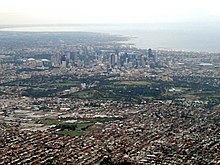 The urban sprawl of Melbourne. At the same time, the urban cores of these and nearly all other major cities in the United States, Western Europe, and Japan that did not annex new territory experienced the related phenomena of falling household size and, particularly in the U.S., "white flight", sustaining population losses. This trend has slowed somewhat in recent years, as more people have regained an interest in urban living. Due to the larger area consumed by sprawling suburbs compared to urban neighborhoods, more farmland and wildlife habitats are displaced per resident. As forest cover is cleared and covered with impervious surfaces (concrete and asphalt) in the suburbs, rainfall is less effectively absorbed into the groundwater aquifers. This threatens both the quality and quantity of water supplies. Sprawl increases water pollution as rain water picks up gasoline, motor oil, heavy metals, and other pollutants in runoff from parking lots and roads. The Chicago metro area, nicknamed "Chicagoland". Gordon & Richardson have argued that the conversion of agricultural land to urban use is not a problem due to the increasing efficiency of agricultural production; they argue that aggregate agricultural production is still more than sufficient to meet global food needs despite the expansion of urban land use. Sprawl leads to increased driving, and increased driving leads to vehicle emissions that contribute to air pollution and its attendant negative impacts on human health. In addition, the reduced physical activity implied by increased automobile use has negative health consequences. Sprawl significantly predicts chronic medical conditions and health-related quality of life, but not mental health disorders. The American Journal of Public Health and the American Journal of Health Promotion, have both stated that there is a significant connection between sprawl, obesity, and hypertension. In the years following World War II, when vehicle ownership was becoming widespread, public health officials recommended the health benefits of suburbs due to soot and industrial fumes in the city center. However, air in modern suburbs is not necessarily cleaner than air in urban neighborhoods. In fact, the most polluted air is on crowded highways, where people in suburbs tend to spend more time. On average, suburban residents generate more per capita pollution and carbon emissions than their urban counterparts because of their increased driving. A heavy reliance on automobiles increases traffic throughout the city as well as automobile crashes, pedestrian injuries, and air pollution. Motor vehicle crashes are the leading cause of death for Americans between the ages of five and twenty-four and is the leading accident-related cause for all age groups. Residents of more sprawling areas are generally at greater risk of dying in a car crash due to increased exposure to driving. Evidence indicates that pedestrians in sprawling areas are at higher risk than those in denser areas, although the relationship is less clear than for drivers and passengers in vehicles. Research covered in the Journal of Economic Issues and State and Local Government Review shows a link between sprawl and emergency medical services response and fire department response delays. Living in larger, more spread out spaces generally makes public services more expensive. Since car usage becomes endemic and public transport often becomes significantly more expensive, city planners are forced to build highway and parking infrastructure, which in turn decreases taxable land and revenue, and decreases the desirability of the area adjacent to such structures. Providing services such as water, sewers, and electricity is also more expensive per household in less dense areas, given that sprawl increases lengths of power lines and pipes, necessitating higher maintenance costs . Residents of low-density areas spend a higher proportion of their income on transportation than residents of high density areas. The unplanned nature of outward urban development is commonly linked to increased dependancy on cars, which, assuming a citizen commutes every day of the year, with a ticket cost for a train at 3 pounds, every year a citizen would spend 1095 pounds on commuting to work, however; the RAC estimates that the average cost of operating a car in the UK is £5,000 a year , which means that urban sprawl would cause an economic loss of 3905 pounds per year, per person through cars alone. Urban sprawl may be partly responsible for the decline in social capital in the United States. Compact neighborhoods can foster casual social interactions among neighbors, while sprawl creates barriers. Sprawl tends to replace public spaces with private spaces such as fenced-in backyards. Urban sprawl has class and racial implications in many parts of the world; the relative homogeneity of many sprawl developments may reinforce class and racial divides through residential segregation. Numerous studies link increased population density with increased aggression. Some people believe that increased population density encourages crime and anti-social behavior. It is argued that human beings, while social animals, need significant amounts of social space or they become agitated and aggressive. However, the relationship between higher densities and increased social pathology has been largely discredited. Rural neighborhoods in Morrisville, North Carolina are rapidly developing into affluent, urbanized neighborhoods and subdivisions. The two images above are on opposite sides of the same street. According to Nancy Chin, a large number of effects of sprawl have been discussed in the academic literature in some detail; however, the most contentious issues can be reduced "to an older set of arguments, between those advocating a planning approach and those advocating the efficiency of the market." Those who criticize sprawl tend to argue that sprawl creates more problems than it solves and should be more heavily regulated, while proponents argue that markets are producing the economically most efficient settlements possible in most situations, even if problems may exist. However, some market oriented commentators believe that the current patterns of sprawl are in fact the result of distortions of the free market. Chin cautions that there is a lack of "reliable empirical evidence to support the arguments made either for or against sprawl." She mentions that the lack of a common definition, the need for more quantitative measures "a broader view both in time and space, and greater comparison with alternative urban forms" would be necessary to draw firmer conclusions and conduct more fruitful debates. Arguments opposing urban sprawl include concrete effects such as health and environmental issues as well as abstract consequences including neighborhood vitality. American public policy analyst Randal O'Toole of the Cato Institute, a libertarian think tank, has argued that sprawl, thanks to the automobile, gave rise to affordable suburban neighborhoods for middle class and lower class individuals, including non-whites. He notes that efforts to combat sprawl often result in subsidizing development in wealthier and whiter neighborhoods while condemning and demolishing poorer minority neighborhoods. The American Institute of Architects and the American Planning Association recommend against sprawl and instead endorses smart, mixed-use development, including buildings in close proximity to one another that cut down on automobile use, save energy, and promote walkable, healthy, well-designed neighborhoods. The Sierra Club, the San Francisco Bay Area's Greenbelt Alliance, 1000 Friends of Oregon and counterpart organizations nationwide, and other environmental organizations oppose sprawl and support investment in existing communities. NumbersUSA, a national organization advocating immigration reduction, also opposes urban sprawl, and its executive director, Roy Beck, specializes in the study of this issue. One of the primary debates around suburban sprawl is the extent to which sprawl is the result of consumer preference. Some, such as Peter Gordon, a professor of planning and economics at the University of Southern California's School of Urban Planning and Development, argue that most households have shown a clear preference for low-density living and that this is a fact that should not be ignored by planners. 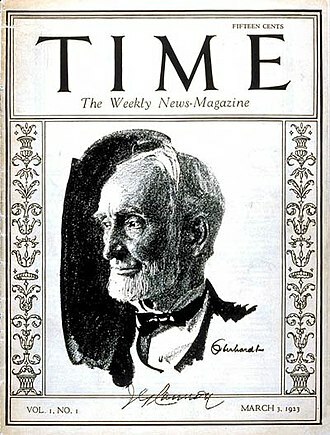 Gordon and his frequent collaborator, Harry Richardson have argued that "The principle of consumer sovereignty has played a powerful role in the increase in America’s wealth and in the welfare of its citizens. Producers (including developers) have responded rapidly to households’ demands. It is a giant step backward to interfere with this effective process unless the benefits of intervention substantially exceed its cost." They argue that sprawl generates enough benefits for consumers that they continue to choose it as a form of development over alternative forms, as demonstrated by the continued focus on sprawl type developments by most developers. 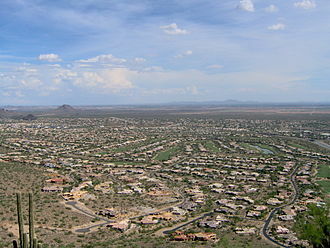 However, other academics such as Reid Ewing argue that while a large segment of people prefer suburban living that does not mean that sprawl itself is preferred by consumers, and that a large variety of suburban environments satisfy consumer demand, including areas that mitigate the worst effects of sprawl. Others, for example Kenneth T. Jackson have argued that since low-density housing is often (notably in the U.S.A.) subsidized in a variety of ways, consumers' professed preferences for this type of living may be over-stated. A majority of Californians live, commute, and work in the vast and extensive web of Southern California freeways. Whether urban sprawl does increase problems of automobile dependency and whether conversely, policies of smart growth can reduce them have been fiercely contested issues over several decades. An influential study in 1989 by Peter Newman and Jeff Kenworthy compared 32 cities across North America, Australia, Europe and Asia. The study has been criticised for its methodology but the main finding that denser cities, particularly in Asia, have lower car use than sprawling cities, particularly in North America, has been largely accepted although the relationship is clearer at the extremes across continents than it is within countries where conditions are more similar. Within cities, studies from across many countries (mainly in the developed world) have shown that denser urban areas with greater mixture of land use and better public transport tend to have lower car use than less dense suburban and ex-urban residential areas. This usually holds true even after controlling for socio-economic factors such as differences in household composition and income. This does not necessarily imply that suburban sprawl causes high car use, however. One confounding factor, which has been the subject of many studies, is residential self-selection: people who prefer to drive tend to move towards low density suburbs, whereas people who prefer to walk, cycle or use transit tend to move towards higher density urban areas, better served by public transport. Some studies have found that, when self-selection is controlled for, the built environment has no significant effect on travel behaviour. More recent studies using more sophisticated methodologies have generally refuted these findings: density, land use and public transport accessibility can influence travel behaviour, although social and economic factors, particularly household income, usually exert a stronger influence. Those not opposed to low density development argue that traffic intensities tend to be less, traffic speeds faster and, as a result, ambient air pollution is lower. (See demographia's report.) Kansas City, Missouri is often cited as an example of ideal low-density development, with congestion below the mean and home prices below comparable Midwestern cities. Wendell Cox and Randal O'Toole are leading figures supporting lower density development. Reviewing the evidence on urban intensification, smart growth and their effects on travel behaviour Melia et al. (2011) found support for the arguments of both supporters and opponents of smart growth measures to counteract urban sprawl. Planning policies that increase population densities in urban areas do tend to reduce car use, but the effect is a weak one, so doubling the population density of a particular area will not halve the frequency or distance of car use. Ceteris paribus, urban intensification which increases population density will reduce per capita car use, with benefits to the global environment, but will also increase concentrations of motor traffic, worsening the local environment in those locations where it occurs. There is also some concern that anti-sprawl policies will increase housing prices. Some research suggests Oregon has had the largest housing affordability loss in the nation, but other research shows that Portland's price increases are comparable to other Western cities. In Australia, it is claimed by some that housing affordability has hit "crisis levels" due to "urban consolidation" policies implemented by state governments. In Sydney, the ratio of the price of a house relative to income is 9:1. The issue has at times been debated between the major political parties. 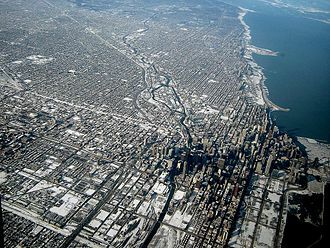 Many critics concede that sprawl produces some negative externalities; however there is some dispute about the most effective way to reduce these negative effects. Gordon & Richardson for example argue that the costs of building new public transit is disproportionate to the actual environmental or economic benefits, that land use restrictions will increase the cost of housing and restrict economic opportunity, that infill possibilities are too limited to make a major difference to the structure of American cities, and that the government would need to coerce most people to live in a way that they do not want to in order to substantially change the impact of sprawl. They argue that the property market should be deregulated to allow different people to live as they wish, while providing a framework of market based fees (such as emission fees, congestion charging or road pricing) to mitigate many of the problems associated with sprawl such as congestion and increased pollution. The term 'smart growth' has been particularly used in North America. The terms 'compact city' or 'urban intensification' are often used to describe similar concepts in Europe and particularly the UK where it has influenced government policy and planning practice in recent years. The state of Oregon enacted a law in 1973 limiting the area urban areas could occupy, through urban growth boundaries. As a result, Portland, the state's largest urban area, has become a leader in smart growth policies that seek to make urban areas more compact (they are called urban consolidation policies). After the creation of this boundary, the population density of the urbanized area increased somewhat (from 1,135 in 1970 to 1,290 per km² in 2000). While the growth boundary has not been tight enough to vastly increase density, the consensus is that the growth boundaries have protected great amounts of wild areas and farmland around the metro area. Many parts of the San Francisco Bay Area have also adopted urban growth boundaries; 25 of its cities and 5 of its counties have urban growth boundaries. Many of these were adopted with the support and advocacy of Greenbelt Alliance, a non-profit land conservation and urban planning organization. In other areas, the design principles of District Regionalism and New Urbanism have been employed to combat urban sprawl. The concept of Circular flow land use management has been developed in Europe to reduce land take by urban sprawl through promoting inner-city and brownfield development. While cities such as Los Angeles are well known for sprawling suburbs, policies and public opinion are changing. Transit-oriented development, in which higher-density mixed-use areas are permitted or encouraged near transit stops is encouraging more compact development in certain areas-particularly those with light and heavy rail transit systems. First, is that on average the people living the closest to these business districts have more money to spend locally because they don't spend as much on their cars. Second, because these people rely more on bicycling, walking and transit than on driving, they tend to focus more of their commerce on locally owned neighborhood businesses that are convenient for them to reach. Walkability is a measure of how friendly an area is to walking. Walkability has many health, environmental, and economic benefits. However, evaluating walkability is challenging because it requires the consideration of many subjective factors. Factors influencing walkability include the presence or absence and quality of footpaths, sidewalks or other pedestrian right-of-ways, traffic and road conditions, land use patterns, building accessibility, and safety, among others. Walkability is an important concept in sustainable urban design. ^ Fouberg, Erin Hogan (2012). Human geography: people, place, and culture. Murphy, Alexander B., De Blij, Harm J. (10th ed.). Hoboken: Wiley. p. 560. ISBN 978-1118018699. OCLC 752286985. ^ Audirac, Ivonne; Shermyen, Anne H.; Smith, Marc T. (December 31, 1990). "Ideal Urban Form and Visions of the Good Life Florida's Growth Management Dilemma". Journal of the American Planning Association. 56 (4): 470–482. doi:10.1080/01944369008975450. p. 475. ^ Batty, Michael; Besussi, Elena; Chin, Nancy (November 2003). "Traffic, Urban Growth and Suburban Sprawl" (PDF). UCL Centre for Advanced Spatial Analysis Working Papers Series. 70. ISSN 1467-1298. Archived from the original (PDF) on September 26, 2015. Retrieved May 17, 2015. ^ a b Bhatta, B.; Saraswati, S.; Bandyopadhyay, D. (December 2010). "Urban sprawl measurement from remote sensing data". Applied Geography. 30 (4): 731–740. doi:10.1016/j.apgeog.2010.02.002. ^ a b c d e f g h i Chin, Nancy (March 2002). "Unearthing the Roots of Urban Sprawl: A Critical Analysis of Form, Function and Methodology" (PDF). University College London Centre for Advanced Spatial Analysis Working Papers Series. 47. ISSN 1467-1298. Archived from the original (PDF) on March 4, 2016. Retrieved April 19, 2015. ^ a b c d e Ewing, Reid (1997). "Is Los Angeles-Style Sprawl Desirable?". Journal of the American Planning Association. 63 (1): 107–126. doi:10.1080/01944369708975728. ^ Gordon, Peter; Richardson, Harry (1997). "Are Compact Cities a Desirable Planning Goal?". Journal of the American Planning Association. 63 (1): 95–106. doi:10.1080/01944369708975727. ^ "Growth in Urban Population Outpaces Rest of Nation, Census Bureau Reports". US Census. Retrieved October 20, 2013. ^ Barragan, Bianca (2015-02-17). "Los Angeles is the Least Sprawling Big City in the US". Curbed. Vox Media. Retrieved 25 January 2017. ^ Eidlin, Eric. "What Density Doesn't Tell Us About Sprawl". ACCESS. The Regents of the University of California. Retrieved 29 January 2017. ^ Monkkonen, Paavo (2011). "Do Mexican Cities Sprawl? Housing Finance Reform and Changing Patterns of Urban Growth". Urban Geography. 32 (3): 406–423. doi:10.2747/0272-3638.32.3.406. ^ "India Can't Afford to Get Urbanization Wrong". CityLab. Retrieved 2018-06-27. ^ Andrew Downie (April 21, 2008). "The World's Worst Traffic Jams". Time. Retrieved September 4, 2014. ^ a b c d e Frumkin, Howard (May–June 2002). Urban Sprawl and Public Health. Centers for Disease Control and Prevention. Retrieved on February 7, 2008. ^ "Residential Construction Trends in America's Metropolitan Regions". Smart Growth. Washington, D.C.: U.S. Environmental Protection Agency (EPA). 2016-07-27. ^ Stoll, Michael A. (2005). Job Sprawl and the Spatial Mismatch between Blacks and Jobs. Washington D.C.: Brookings Institution, Metropolitan Policy Program. Archived from the original on July 6, 2008. Retrieved January 22, 2010. ^ Glaeser, Edward (2001). Job Sprawl: Employment Location in U.S. Metropolitan Areas. Washington D.C.: Brookings Institution, Metropolitan Policy Program. Archived from the original on 2016-05-15. Retrieved January 22, 2010. ^ Kneebone, Elizabeth (2009). Job Sprawl Revisited: The Changing Geography of Metropolitan Employment. Washington D.C.: Brookings Institution. Archived from the original on February 22, 2010. Retrieved January 22, 2010. ^ DeGrove, John and Robyne Turner (1991), "Local Government in Florida: Coping with Massive and Sustained Growth" in Huckshorn, R. (ed.) Government and Politics in Florida. University of Florida Press, Gainesville. ^ Krannich, Jess M. (2006). "Modern Disaster: Agricultural Land, Urban Growth, and the Need for a Federally Organized Comprehensive Land Use Planning Model". Cornell Journal of Law and Public Policy. 16 (1): 57. Retrieved June 8, 2015. ^ Hasse, John E.; Lathrop, Richard G. (2003). "Land resource impact indicators of urban sprawl". Applied Geography. 23 (2–3): 159–175. doi:10.1016/j.apgeog.2003.08.002. ^ David Kocieniewski (January 6, 2013). "Major Companies Push the Limits of a Tax Break". The New York Times. Retrieved January 7, 2013. With hundreds of thousands of transactions a year, it is hard to gauge the true cost of the tax break for so-called like-kind exchanges, like those used by Cendant, General Electric and Wells Fargo. ^ Fang, Yiping; Pal, Anirban (2016-07-07). "Drivers of urban sprawl in urbanizing China – a political ecology analysis". Environment and Urbanization. 28 (2): 599–616. doi:10.1177/0956247816647344. ISSN 0956-2478. ^ a b c d Duany, Andres; Plater-Zyberk, Elizabeth; Speck, Jeff (2001). Suburban Nation: The Rise of Sprawl and the Decline of the American Dream. New York: Farrar Straus & Giroux. ISBN 9780865476066. ^ a b Steinberg, Ted (2006). American Green: The Obsessive Quest for the Perfect Lawn. New York: W. W. Norton & Company. ISBN 978-0393329308. ^ Jenkins, Virginia Scott (1994). The Lawn: A History of an American Obsession. Washington: Smithsonian Books. ISBN 978-1560984061. ^ Bruegmann, Robert (2006). Sprawl: A Compact History. University of Chicago Press. p. 24. ISBN 9780226076911. Retrieved November 9, 2013. ^ Rybczynski, Witold (November 7, 2005). 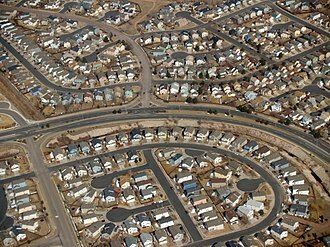 "Suburban Despair: Is urban sprawl really an American menace?". Slate.com. Retrieved May 9, 2015. ^ Edwards, Dennis; Pigram, Ron (1988). The Golden Years of the Metropolitan Railway and the Metro-land Dream. Bloomsbury. p. 32. ISBN 978-1-870630-11-5. ^ Jackson 1986, p. 134. ^ Jackson 1986, pp. 134, 137. ^ a b Green 1987, p. 43. ^ Jackson 1986, pp. 241–242. ^ "Planning Policy Guidance 2: Green belts" (PDF). Archived from the original (PDF) on June 9, 2012. ^ Lubowski, Ruben N.; Marlow Vesterby, Shawn Bucholtz, Alba Baez, and Michael J. Roberts (May 31, 2006). Major Uses of Land in the United States, 2002 Archived April 9, 2007, at the Wayback Machine. Economic Research Service, . Retrieved on February 7, 2008. ^ USA Urbanized Areas: 2000 Ranked by Population. Demographia, August 25, 2002. Retrieved on February 8, 2008. ^ Czech, Brian; Krausman, Paul R .; Devers, Patrick K. (2000). "Economic Associations among Causes of Species Endangerment in the United States". BioScience. 50 (7): 593. doi:10.1641/0006-3568(2000)050[0593:EAACOS]2.0.CO;2. Retrieved September 3, 2015. ^ a b McKinney, Michael L. (2002). "Urbanization, Biodiversity, and Conservation". BioScience. 52 (10): 883. doi:10.1641/0006-3568(2002)052[0883:UBAC]2.0.CO;2. Retrieved September 3, 2015. ^ Fenger, J: 1999, "Urban air quality", Atmospheric Environment, vol.33, no.29, pp 4877–4900. ^ "Surface Runoff – The Water Cycle". Water Science School. Reston, VA: United States Geological Survey. 2016-12-15. ^ High-Income World Central City Population Losses. Demographia. Retrieved on February 8, 2008. ^ a b c Gordon, Peter; Richardson, Harry (Summer 2001). "The Sprawl Debate: Let Markets Plan" (PDF). Publius: The Journal of Federalism. 31 (3): 131–149. doi:10.1093/oxfordjournals.pubjof.a004901. Retrieved June 11, 2015. ^ Sturm, R.; Cohen, D.A. (October 2004). "Suburban sprawl and physical and mental health". Public Health. 118 (7): 488–496. doi:10.1016/j.puhe.2004.02.007. Retrieved September 2, 2015. ^ McKee, Bradford. "As Suburbs Grow, So Do Waistlines Archived August 16, 2009, at the Wayback Machine", The New York Times, September 4, 2003. Retrieved on February 7, 2008. ^ Koen De Ridder; Filip Lefebre; Stefan Adriaensen; Ute Arnold; Wolfgang Beckroege; Christine Bronner; Ole Damsgaard; Ivo Dostal; Jiri Dufek; Jacky Hirsch; Luc Int Panis; Zdenek Kotek; Thierry Ramadier; Annette Thierry; Stijn Vermoote; Annett Wania; Christiane Weber (2008). "Simulating the impact of urban sprawl on air quality and population exposure in the German Ruhr area. Part II: Development and evaluation of an urban growth scenario". Atmospheric Environment. 42 (30): 7070–7077. Bibcode:2008AtmEn..42.7070D. doi:10.1016/j.atmosenv.2008.06.044. ^ Fuller, R.; Crawford (2011). "Impact of past and future residential housing development patterns on energy demand and related emissions". Journal of Housing and the Built Environment. 26 (2): 165–83. doi:10.1007/s10901-011-9212-2. ^ De Ridder, K (2008). "Simulating the impact of urban sprawl on air quality and population exposure in the German Ruhr area. Part_II_Development_and_evaluation_of_an_urban_growth_scenario". Atmospheric Environment. 42 (30): 7070–7077. doi:10.1016/j.atmosenv.2008.06.044. ^ U.S. Death Statistics. The Disaster Center. Retrieved on February 8, 2008. ^ Lambert, T. E.; Meyer, P. B. (2008). "Practitioner's Corner: New and Fringe Residential Development and Emergency Medical Services Response Times in the United States". State. 40 (2): 115–124. JSTOR 25469783. ^ "Ex-urban Sprawl and Fire Response in the United States," Thomas E. Lambert, Arun K. Srinivasan, and Matin Katirai. "Journal of Economic Issues", Vol 46, No. 4, December 2012. ^ Snyder, Ken; Bird, Lori (1998). Paying the Costs of Sprawl: Using Fair-Share Costing to Control Sprawl (PDF). Washington: U.S. Department of Energy's Center of Excellence for Sustainable Development. Archived from the original (PDF) on September 24, 2015. Retrieved May 20, 2015. ^ McCann, Barbara. Driven to Spend Archived June 19, 2006, at the Wayback Machine. Surface Transportation Policy Project (2000). Retrieved on February 8, 2008. ^ "Is your car worth it? ", The Guardian, Guardian Media Group, February 15, 2003. Retrieved on February 8, 2008. ^ a b Newman, Peter W.G. ; Kenworthy, Jeffrey R. (1989). Cities and automobile dependence: a sourcebook. Aldershot, Hants., England: Gower Technical. ISBN 9780566070402. ^ Conklin, George H. "Article Review: The Impact of Density: The Importance of Nonlinearlity and Selection on Flight and Fight Responses". ^ Fischer, Claude S.; Baldasarre, Mark; Ofshe, R. J. (1975). "Crowding Studies and Urban Life – A Critical Review". Journal of the American Institute of Planners. 41 (6): 406–418. doi:10.1080/01944367508977691. ^ O'Toole, Randal (2009). Gridlock : why we're stuck in traffic and what to do about it ([Online-Ausg.] ed.). Washington, D.C.: CATO Institute. ISBN 978-1935308232. ^ Issue Brief: Smart-Growth: Building Livable Communities. American Institute of Architects. Retrieved on February 8, 2008. ^ Building Better. Sierra Club. Retrieved on February 8, 2008. ^ Smart Growth. National Resources Defense Council. Retrieved on February 8, 2008. ^ Urban Sprawl – NumbersUSA. Retrieved on February 26, 2009. ^ Web smarts. Christian Science Monitor. October 7, 2003. Retrieved on February 26, 2009. ^ Moore, Adrian; Henderson, Rick (June 1998). "Plan Obsolescence". Reason. Retrieved May 30, 2015. ^ a b Gordon, Peter; Richardson, Harry (Fall 1998). "Prove It: The costs and benefit of sprawl" (PDF). Brookings Review. The Brookings Institution. Retrieved June 11, 2015. ^ Mindali, O., Raveh, A. and Salomon, I., 2004. Urban density and energy consumption: a new look at old statistics. Transportation Research Part A: Policy and Practice, 38(2), pp. 143-162. ^ e.g. Frank, L. and Pivo, G., 1994. Impact of Mixed Use and Density on Three Modes of Travel. Transportation Research Record, 1446, pp. 44–52. ^ e.g. Bagley, M.N. 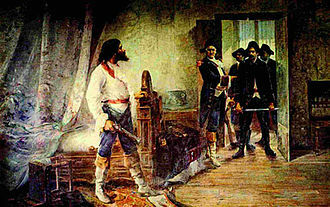 and Mokhtarian, P.L. (2002) The impact of residential neighborhood type on travel behavior: A structural equations modeling approach. Annals of Regional Science36 (2), 279. ^ e.g., Handy, S., Cao, X. and Mokhtarian, P.L. (2005) Correlation or causality between the built environment and travel behavior? Evidence from Northern California. Transportation Research Part D: Transport and Environment10 (6), 427–444. ^ US Commuting Travel Times Down Over Quarter Century. PublicPurpose.com. Retrieved on February 8, 2008. ^ Housing Affordability Trends: USA States. Demographia. Retrieved on February 8, 2008. ^ Lewyn, Michael (October 4, 2005). Sprawl, Growth Boundaries and the Rehnquist Court. Social Science Research Network. Retrieved on February 8, 2008. ^ "Seeking solutions to the housing affordability crisis Archived August 30, 2007, at the Wayback Machine", University of South Australia, October 24, 2005. Retrieved on February 8, 2008. ^ Saunders, Peter (2005). "After the House Price Boom: Is this the end of the Australian dream? Archived November 2, 2007, at the Wayback Machine", Policy. Retrieved on February 8, 2008. ^ Archer, Lincoln. "Kevin Rudd says John Howard is ignoring housing", News Limited, November 5, 2007. Retrieved on February 8, 2008. ^ "US Urbanized Areas: 1950–1990: Data". demographia.com. ^ "USA Urbanized Areas: 2000 Ranked by Population(465 Areas)". demographia.com. ^ "Bicycles produced this year". Retrieved January 14, 2013. ^ "Bicycle Oriented Development". Columbusite. April 7, 2008. Archived from the original on March 3, 2009. Retrieved December 6, 2013. ^ "Online TDM Encyclopedia – Pedestrian Improvements". vtpi.org. ^ "S. Grignaffini, S. Cappellanti, A. Cefalo, "Visualizing sustainability in urban conditions", WIT Transactions on Ecology and the Environment, Vol. 1, pp. 253–262, 10 Jun 2008". Archived from the original on February 23, 2012. Retrieved February 26, 2009. ^ The Land Clauses Consolidation Act 1845 required railways to sell off surplus lands within ten years of the time given for completion of the work in the line's enabling Act. Baudrillard, Jean (1983). Simulacra and Simulation. Bruegmann, Robert (2005). Sprawl: A Compact History. University of Chicago Press. ISBN 978-0-226-07691-1. Crawford, Margaret (1992) "The World in a Shopping Mall" in Sorkin, Michael (ed. ), Variations on a Theme Park, The new American city and the end of public space, Hill and Wang, New York, pp. 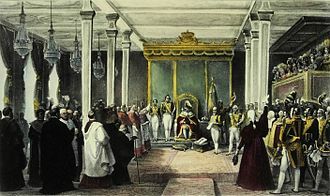 3–30. Cervero, Robert (1986). Suburban Gridlock. Transaction. Cervero, Robert (1989). America's Suburban Centers: The Land Use-Transportation Link. Unwin-Hyman. Davies, Ross (1960). Retail Planning Policies in Western Europe. Routledge. DeGrove, John and Robyne Turner (1991) "Local Government in Florida: Coping with Massive and Sustained Growth" in Huckshorn, R. (ed.) Government and Politics in Florida, University of Florida Press, Gainesville. Frieden, Bernard J. and Sagalyn, Lynne B. (1989) Downtown Inc.: How America Rebuilds Cities, MIT Press, Cambridge, MA. Freilich, Robert H.; Sitkowski, Robert J.; Mennillo, Seth D. (2010). From Sprawl to Sustainability, Smart Growth, New Urbanism, Green Development and Renewable Energy. American Bar Association Publishing. ISBN 978-1-60442-812-4. Edge City: Life on the New Frontier by Garreau, Joel, Anchor Books/Doubleday New York, 1991. Gielen, Tristan. Coping with compaction; the demon of sprawl. Auckland, Random House New Zealand, 2006. Dolores Hayden; Jim Wark (2004). A Field Guide to Sprawl. W. W. Norton & Company. ISBN 978-0-393-73125-5. Gruen, Victor and Larry Smith (1960) Shopping towns USA: the planning of shopping centers, Van Nostrand Reinhold Company, New York. Jameson, Fredric (1990). Postmodernism or the cultural logic of late capitalism. Koolhaas, Rem (2003). Junkspace, Harvard Design School Guide to Shopping. Harvard Press. Lewinnek, Elaine. The Working Man's Reward: Chicago's Early Suburbs and the Roots of American Sprawl. Oxford, England: Oxford University Press, 2014. David C. Seoule, ed. (2006). Urban Sprawl A comprehensive Reference Guide. Greenwood Press. ISBN 978-0-313-32038-5. Gregory D. Squires, ed. (2002). Urban Sprawl: Causes, Consequences and Policy Responses. The Urban Institute Press. ISBN 978-0-87766-709-4. Suarez, Ray (1999). The Old Neighborhood: What we lost in the great suburban migration: 1966-1999. Free Press. ISBN 978-0684834023. Stein, Jay (1993). Growth Management: The planning challenge of the 1990s. Sage Publications. Ewing, Reid (1997). "Is Los Angeles-Style Sprawl Desirable?". Journal of the American Planning Association. 63 (1): 107–126. doi:10.1080/01944369708975728. Decentralization is the process of redistributing or dispersing functions, people or things away from a central location or authority. While centralization, especially in the sphere, is widely studied and practiced. The meaning of decentralization may vary in part because of the different ways it is applied, the word centralization came into use in France in 1794 as the post-French Revolution French Directory leadership created a new government structure. The word decentralization came into usage in the 1820s, centralization entered written English in the first third of the 1800s, mentions of decentralization first appear during those years. In the mid-1800s Alexis de Tocqueville wrote that the French Revolution began with a push towards decentralization. 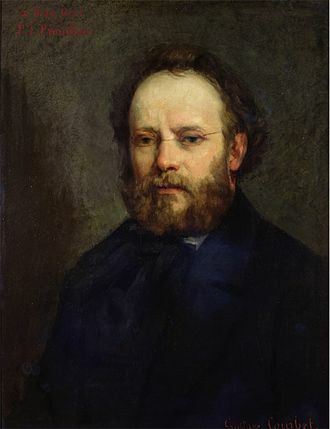 in the end, pierre-Joseph Proudhon, influential anarchist theorist wrote, All my economic ideas as developed over twenty-five years can be summed up in the words, agricultural-industrial federation. All my political ideas boil down to a formula, political federation or decentralization. In early twentieth century America a response to the centralization of economic wealth and it blamed large-scale industrial production for destroying middle class shop keepers and small manufacturers and promoted increased property ownership and a return to small scale living. The decentralist movement attracted Southern Agrarians like Robert Penn Warren, as well as journalist Herbert Agar, Mildred J. Loomis and Bill Kauffman. In the next few years a number of best-selling books promoted decentralization. ”Alvin Toffler published Future Shock, naisbitt’s book outlines 10 “megatrends”, the fifth of which is from centralization to decentralization. In 1996 David Osborne and Ted Gaebler had a best selling book Reinventing Government proposing decentralist public administration theories which became labeled the New Public Management, stephen Cummings wrote that decentralization became a revolutionary megatrend in the 1980s. In 1983 Diana Conyers asked if decentralization was the latest fashion in development administration, Cornell Universitys project on Restructuring Local Government states that decentralization refers to the global trend of devolving responsibilities to regional or local governments. In 1983, Decentralization was identified as one of the Ten Key Values of the Green Movement in the United States, according to a 1999 United Nations Development Programme report, A large number of developing and transitional countries have embarked on some form of decentralization programmes. The movement toward local accountability and greater control over ones destiny is, not solely the result of the negative attitude towards central government. Rather, these developments, as we have noted, are principally being driven by a strong desire for greater participation of citizens and private sector organizations in governance. ”Those studying the goals and processes of implementing decentralization often use a systems theory approach. ”However. Norman Johnson of Los Alamos National Laboratory wrote in a 1999 paper, an important property of agent systems is the degree of connectivity or connectedness between the agents, a measure global flow of information or influence. If each agent is connected to all agents, the system is highly connected. Lawns are used around houses, commercial buildings and offices. 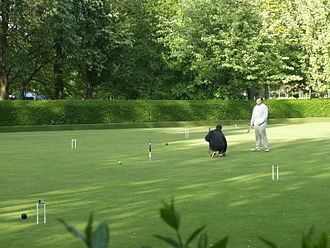 Many city parks have large lawn areas, in recreational contexts, the specialised names turf, field or green may be used, depending on the sport and the continent. The term lawn, referring to a managed grass space, dates to no earlier than the 16th century, in many suburban areas, there are bylaws in place requiring houses to have lawns and requiring the proper maintenance of these lawns. In some jurisdictions there are water shortages, local government authorities are encouraging alternatives to lawns to reduce water use. Lawn is a cognate of llan which is derived from the Common Brittonic word landa that originally means heath, barren land, Lawns may have originated as grassed enclosures within early medieval settlements used for communal grazing of livestock, as distinct from fields reserved for agriculture. The word laune is first attested in 1540, and is related to the Celtic Brythonic word lan/llan/laun. Lawns became popular with the aristocracy in northern Europe from the Middle Ages onward, the early lawns were not always distinguishable from pasture fields. It is speculated that the association between the word pasture and biblical mentions made lawns a cultural affinity for some, the damp climate of maritime Western Europe in the north made lawns possible to grow and manage. They were not a part of gardens in other regions and cultures of the world until contemporary influence, before the invention of mowing machines in 1830, lawns were managed very differently. They were an element of wealthy estates and manor houses, in most situations, they were pasture land maintained through grazing by sheep or other livestock. Areas of grass grazed regularly by rabbits, horses or sheep over a period often form a very low. This was the meaning of the word lawn, and the term can still be found in place names. Some forest areas where extensive grazing is practiced still have these seminatural lawns, for example, in the New Forest, such grazed areas are common, and are known as lawns, for example Balmer Lawn. It was not until the 17th and 18th century that the garden and they were made up of meadow plants, such as camomile, a particular favorite. The EEA was established by the European Economic Community Regulation 1210/1990 and became operational in 1994. It is headquartered in Copenhagen, the current Executive Director of the agency is Professor Hans Bruyninckx, who has been appointed for a five-year term. He is the successor of Professor Jacqueline McGlade and it was the first EU body to open its membership to the 13 candidate countries. The EEA has 33 member countries and six cooperating countries, the European environment information and observation network is a partnership network of the EEA and the countries. The EEA is responsible for developing the network and coordinating its activities, to do so, the EEA works closely together with national focal points, typically national environment agencies or environment ministries. They are responsible for coordinating national networks involving many institutions, the 33 member countries include the 28 European Union Member States together with Iceland, Norway and Turkey. The six Balkans countries are cooperating countries, Albania and Herzegovina and these cooperation activities are integrated into Eionet and are supported by the European Union under the Instrument for Pre-Accession Assistance. Housing policy in the United States has influenced housing segregation trends throughout history. Key legislation include the National Housing Act of 1934, the GI Bill, factors such as socioeconomic status, spatial assimilation, and immigration contribute to perpetuating housing segregation. The effects of housing segregation include relocation, unequal living standards, there have been initiatives to combat housing segregation, such as the Section 8 housing program. In 1934 the practice of redlining neighborhoods came into existence through the National Housing Act of 1934, on these maps, high-risk areas were outlined in red. Many minority neighborhoods were redlined in these maps, meaning that banks would deny all mortgage capital to people living within them. Many urban historians point to redlining as one of the factors for urban disinvestment. This piece of legislation occurred during the New Deal era and provided the basis for public housing programs. This act allowed for the creation of around 160,000 units of public housing, most of these units were made to alleviate the housing difficulties of the poor and working class suffering from the Great Depression. Despite providing low budget housing options, this act created greater racial segregation in housing because the majority of the population at the time consisted of minorities. When millions of GIs returned home from overseas, they took advantage of the “Servicemen’s Readjustment Act and this important document was signed in 1944 by Franklin D. This law allowed millions of U. S. soldiers to purchase their first homes with inexpensive mortgages, which meant the growth of suburbs. African Americans were met with discrimination when trying to purchase a home in the overwhelmingly European American neighborhoods, the realtors would not show these houses to African Americans, and when they did, they would try and talk them out of buying the home. The overt discriminatory practices of refusal of sale and loans continued unabated until at least 1968, after this act was passed, outright refusal to sell property to African Americans became rare, given that that behavior could lead to prosecution under the Fair Housing Law. The actual Enumeration shall be made within three Years after the first Meeting of the Congress of the United States, and within every subsequent Term of ten Years. The United States Census Bureau is responsible for the United States Census, the first census after the American Revolution was taken in 1790, under Secretary of State Thomas Jefferson, there have been 22 federal censuses since that time. The current national census was held in 2010, the census is scheduled for 2020. For years between the censuses, the Census Bureau issues estimates made using surveys and statistical models, in particular. Title 13 of the United States Code governs how the Census is conducted, Information is confidential as per 13 U. S. C. The United States Census is a census, which is distinct from the U. S. Census of Agriculture. It is distinct from local censuses conducted by some states or local jurisdictions, Decennial U. S. Census figures are based on actual counts of persons dwelling in U. S. residential structures. They include citizens, non-citizen legal residents, non-citizen long-term visitors, the Census Bureau bases its decision about whom to count on the concept of usual residence. Usual residence, a principle established by the Census Act of 1790, is defined as the place a person lives, the Census uses hot deck imputation to assign data to housing units where occupation status is unknown. This practice has effects across many areas, but is seen by some as controversial, the practice was ruled constitutional by the U. S. Supreme Court in Utah v. Evans. Certain American citizens living overseas are specifically excluded from being counted in the even though they may vote. Only Americans living abroad who are Federal employees and their dependents living overseas with them are counted, private U. S. citizens living abroad who are not affiliated with the Federal government will not be included in the overseas counts. These overseas counts are used solely for reapportioning seats in the U. S, in the United States recent censuses, Census Day has been April 1. India's economic growth has resulted in a massive increase in the number of private vehicles on its roads overwhelming the transport infrastructure. Shown here is a traffic jam in Delhi. A parking lot in Manhattan, New York City, in 2010, with its capacity increased through multiple level stacked parking using mechanical lifts. A subterranean parking lot of a Brazilian shopping mall taken in 2016. A sign at the entrance to an underground parking garage in March 2007, warning drivers of the maximum height clearance, in this case, roughly 2 meters (6.5 feet). Mountain valleys of industrialised countries (e.g. Inn valley) are often periurbanised. The periurbanised Swiss Limmat valley. Hospital in a peri-urban area in Gijón. According to the spatial mismatch theory, opportunities for low-income people are located far away from where they live. Suburban shopping malls took employment out of the inner city. Urban redevelopment projects such as Pruitt–Igoe in St. Louis concentrated and separated workers from their surroundings and work. Such projects created a ghettoized underclass in America. The Zoning Scheme of the General Spatial Plan for the City of Skopje, North Macedonia. Different urban zoning areas are represented by different colors. Zoning scheme of the center of Tallahassee, United States.